I’ve posted the first of a new series of podcast homilies for each of the Sundays on the Anglican Calendar. The entry for First Sunday in Advent (November 30th). The theme is The Coming of the Light, using Scriptural references, in order of use, to Malachi 3:1; Psalm 50:1,3,4,5,7,14,15, 22, 23; Matthew 25:31-34; John 3:16-21; John 8:12; Luke 1:78, 79; Ephesians 6:13-17; and Matthew 5:13-16.. This new series will allow me to continue offering traditional Anglicans access to theologically-sound podcast homilies throughout the year and information about purchasing the AIC publications which support the views expressed through the AIC ministry, Coming of the Light features the new theme music which we will used in the Great “O” Antiphons series, based on the opening line of O Come, O Come, Emmanuel. I am having trouble getting the post to our Web Site to add the link. You can listen directly using the link below. May the Lord grant you and your family a wonderful Thanksgiving. And don’t forget to thank Him who made it possible. Now faced with challenges from political, religious, financial and personal evil, the Christian virtue of Discernment should be a primary tool on Stir Up Sunday as we prepare for the coming of His Nativity and for His coming again to judge the world. The following is a 15th C. prayer from the Sarum Missal that calls upon the teachings in Psalm 35 and Psalm 80. Stir up thy power, we pray thee, O Lord, and come: that through thy protection we may be delivered from the dangers which overhang us by reason of our sins, and through thy liberation of us we may be saved; who livest and reignest with the Father in the unity of the Holy Spirit, God for evermore. Amen. Anglicans place great importance on the concept of getting ourselves “stirred up” on the last Sunday before the start of the penitential season of Advent. This year Sunday Next Before Advent is November 23rd and the First Sunday in Advent is November 30th, the Feast of St. Andrew, the first called of the Apostles. As I am approaching the one year anniversary of my retirement from active parish ministry on the day before Epiphany, I am faced with the first season in about ten years that I have not conducted a Stir-Up Sunday from the pulpit and the first Advent-Christmas seasons when I have not been personally involved with planning and conducting Advent and Christmas Eve/Christmas Day services. I’ve come to a decision about how I can “stir myself up” and also stir up followers of my blog posts, MP3 podcast homilies, You Tube videos and book-publishing efforts. FIRST, beginning on Sunday, November 30th, I will post a revised and extended homily for each of the Sundays on the Anglican Calendar. The podcast versions will be available through links on a new Homilies page at the AIC web site: www.AnglicanInternetChurch.net. Each of the links will show you the name/number of the Sunday and also the primary Scriptural source(s). In this way, I hope, I can keep adding fresh insight and commentary on traditional Anglican teachings and not have these lost following my retirement. 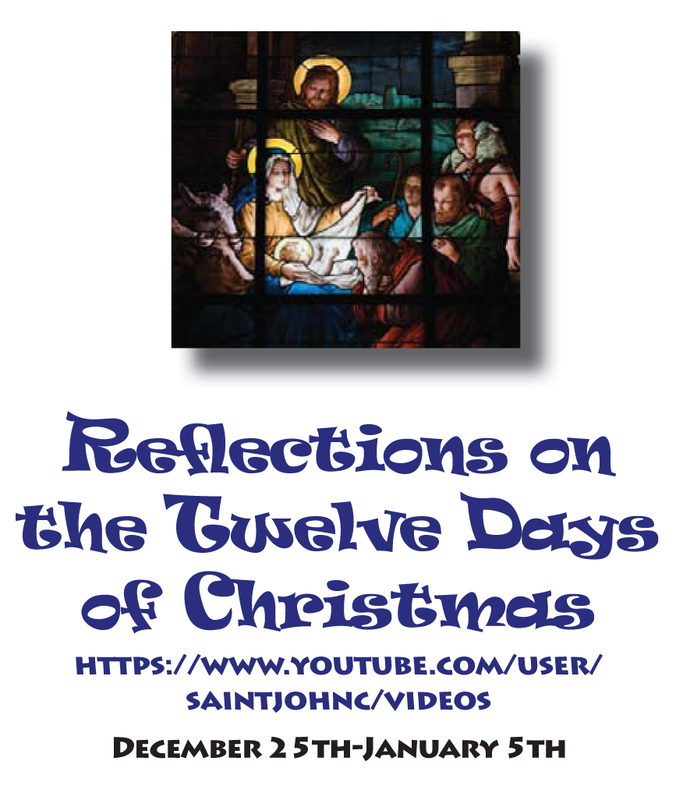 THIRD, beginning December 25th, Christmas Day, I will post a revised and expanded version of the Twelve Days of Christmas videos. For each of the twelve days there will be historic art and icons, where available, for the theological themes of the days. These videos will be converted into MP3 Podcast versions. There will be links to the Podcasts on the Digital Library page. FOURTH, sometime after the first of the year, I will resume production of the Bible Study series offered free via our You Tube channel and also via a Podcast version. These will include completion of the study of the Gospel of St. John and completion of the expanded and revised version of our streaming video series on Revelation. The series on Revelation will cover every single verse in the book. There is a new mini-graphic for the series and a postcard mailer. I invite you to join me for these new or revised programs. I hope that each of you finds them instructive, rewarding, and helpful in building your personal defenses in the world’s ongoing War on Christianity. Judging from events of the last few months, I think you’ll agree that Christians need to learn more about the beliefs of the Church Universal in order to counter the assault from militant Islam and the consequences of misguided efforts to reach some kind of stalemate with Islam, such as Islamic services at the National Cathedral! One wonders if the Episcopal Church asked for a Christian service on Sundays at Mecca or Medina or the Hagia Sophia in Istanbul. The combined Advent-Christmas-Epiphany season will be celebrated by the Anglican Internet Church this season with one new series and an expanded version of another. 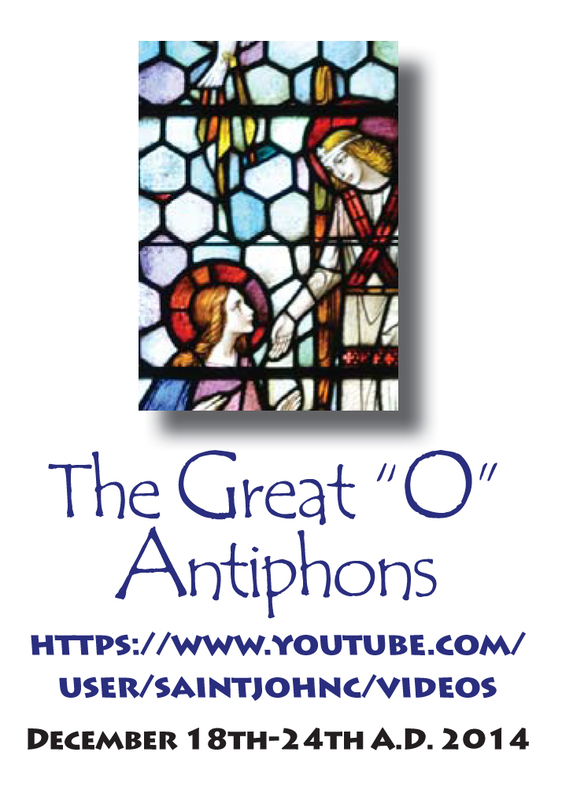 The new series is The Great “O” Antiphons, which will appear in both You Tube and podcast versions, one each day, between December 18th and December 24th. Based upon a modified version of the Christmas Eve celebration in our publication, Occasional Services for Anglican Worship, it celebrates the seven verses of the hymn, O Come, O Come, Emmanuel. 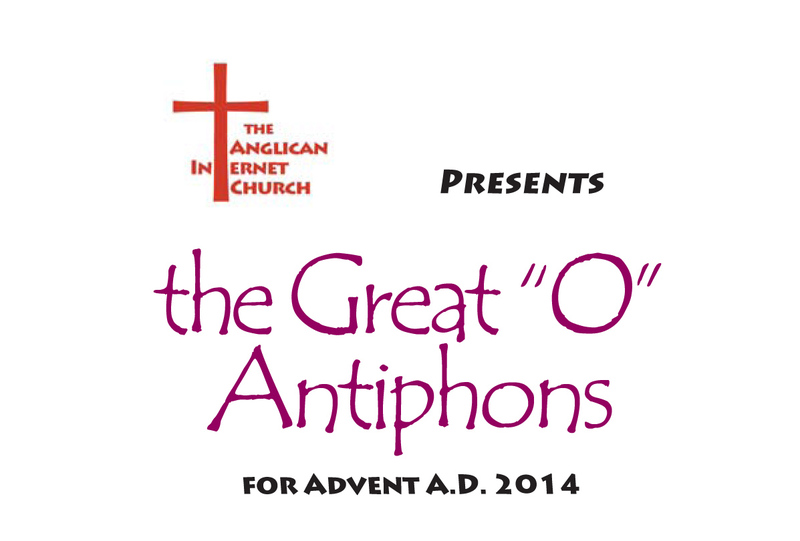 The “O” Antiphons service is thought to date from the 12th Century. The original purpose of the “O” Antiphons service was to provide a transition from the lasts days of the penitential season of Advent into the festive celebration of the Nativity of Our Lord on Christmas Day. You can learn more about this and other services in the book and order your own copy of Occasional Services for Anglican Worship in either paperback or Kindle editions at Fr. Shibley’s author page at Amazon.com. Each episode will feature music, art and graphics, plus Old Testament readings and a short mini-homily for each of the seven theme words: O Sapentia (Wisdom); O Adonai (Lord); O Radix Jessee (Root of Jessee); O Clavis David (Key of David); O Oriens (Dayspring); O Rex Gentium (King of Nations); and, on Christmas Eve, O Emmanuel (God With Us). The purposes of the series are to revive this ancient celebration that was once nearly universally used in the week before Christmas and to promote the concept of Christian Spirituality as an active defense against the assaults of our aggressively anti-religious, anti-Christian secular world. 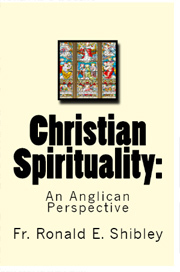 The most recent AIC Bookstore publication, Christian Spirituality: an Anglican Perspective, an exploration of the same theme, is also available at Fr. Ron’s author page. 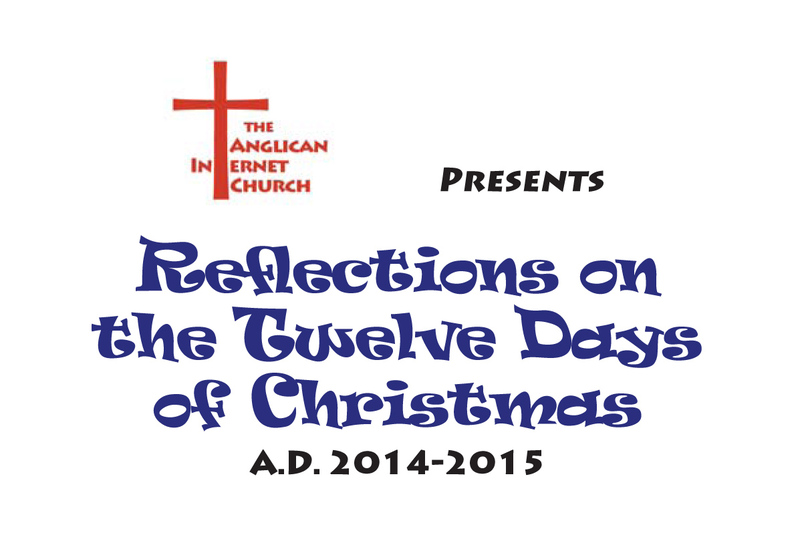 This year the AIC will offer the third podcast version and second You Tube video version of The Twelve Days of Christmas, posted daily on each of the days from Christmas Day through Epiphany Eve. The series has nothing to do with the song of the same name, which is focused on material things, but focuses instead on events or spiritual and theological virtues, one for each day on the Anglican Church calendar. In this expanded and updated version for A.D. 2014-2015, Fr. Ron Shibley will discuss the key word(s) or virtues for each day: Love (Christmas Day); Forgiveness (December 26th); Peace (December 27th); Compassion (December 28th); Obedience (December 29th); Joy (December 30th); Family (December 31st); Church (January 1st); Angels (January 2nd); Commandments (January 3rd); Glorifying God (January 4th); and, finally, Grace and Peace (January 5th).